Here is the matchup for the Boston Blitz this week. Given my prognostication power is now stretched to covering two area teams, I'm afraid that this week I've had to take some other people's predictions from the past, mash them all up, and hope for the best. Given that plagiarism from the Internet is rampant these days, I figure I'm part of a fast growing tradition of student cheats. At least I am citing my cheating, and I note any changes I make. Panchanathan, who is a student at the University of Texas-Dallas [on the Inventors], got a lot of encouragement from the Indian players who traveled 24 hours to compete in the tournament [watch]. The 21-year old IM becomes the 12th Grandmaster in the history of India . The 20-year old Miton defeated GMs Leonid Yudasin, Gennadi Zaitshik, Joel Benjamin, Ildar Ibragimov and Julio Becerra and scored six wins for an undefeated score. Panchanathan loss only to GM Larry Christiansen while also scoring a tournament high of seven wins! From the New York Times, 2007-- "On Wednesday, the Blitz beat the Philadelphia Inventors. 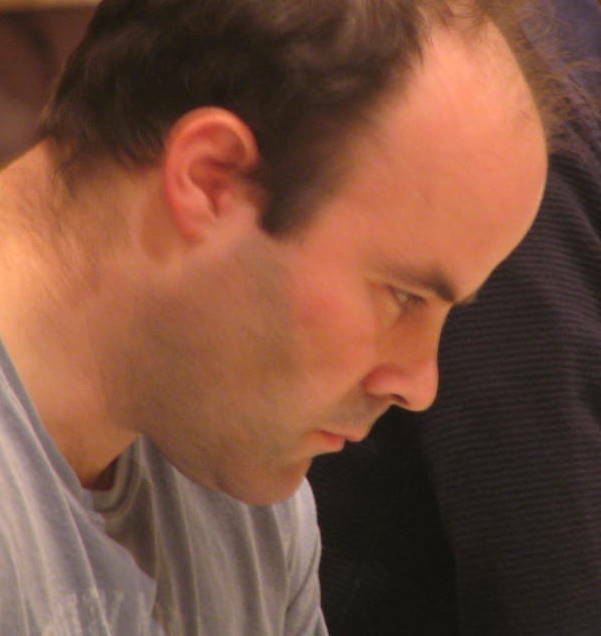 A critical game was the victory of Jorge Sammour-Hasbun [Eugene Perelshteyn] of the Blitz over Bryan Smith, an international master. The opening was a Sicilian Dragon, which is double-edged because players usually castle on opposite sides of the board and attack each other’s kings. After 12 Bh6, it would have risky for Black to castle, so he did not." "The prestigious Blitz team of Larry Christiansen, Jorge Sammour-Hasbun [Denys Shmelov], Vadim Martirosov, and Ilya Krasik got blanked by a 4-0 score. The Dallas [New York] team achieved this result with all [some] of its players 21 years or under. This is the Destiny’s [Knight's] only win this year." "Dazed by its loss, the Blitz nevertheless recovered the following week with a 3-1 victory over the Philadelphia Inventors. This match was highlighted by an outstanding game by Marc Esserman [Denys Shmelov] vs. Tom Bartell, which won the prize for USCL’s Game of the Week." 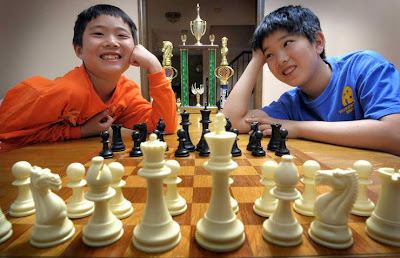 "Brothers Grant Xu, 11, and Albert Yiming Xu [Kavinayan Sivakumar], took their seats at their respective chess tables and set their clocks. Their opponents did the same. Several minutes passed. Grant and Albert [Kavinayan] sat in deep concentration before finally moving: Checkmate. Grant Wins The River War: 1863. " If the Google search-history is any guide, the Blitz are in for a 4-0 sweep of the Inventors. Amazing. (Even I'm a little freaked out by the blunt accuracy of the Board 3 quote). Sept 25th $10 Open-- Now only $8.00 if registered online through paypal! As a way to promote the use of Paypal to Donate to our club, this September's $10 Open will now only be $8 if you sign up through the Paypal button (see homepage, BCC calendar, below, or under Featured Events to the right). It is still $10 if you mail it in or otherwise pay in advance. We also must receive confirmation of your payment by Friday, September 24th to get the $8.00 rate. Make sure you specify $8.00 Open when you fill out the payment form. Please also note, pushing the button also will give the option to pay by credit card, if you do not have a Paypal account. On Saturday 9/11/10, Waltham Chess Club is privileged to participate in a double-header chess event hosted by Back Pages Bookstore on Moody Street in Waltham, as part of a promotion of chess books published by Mongoose Press. 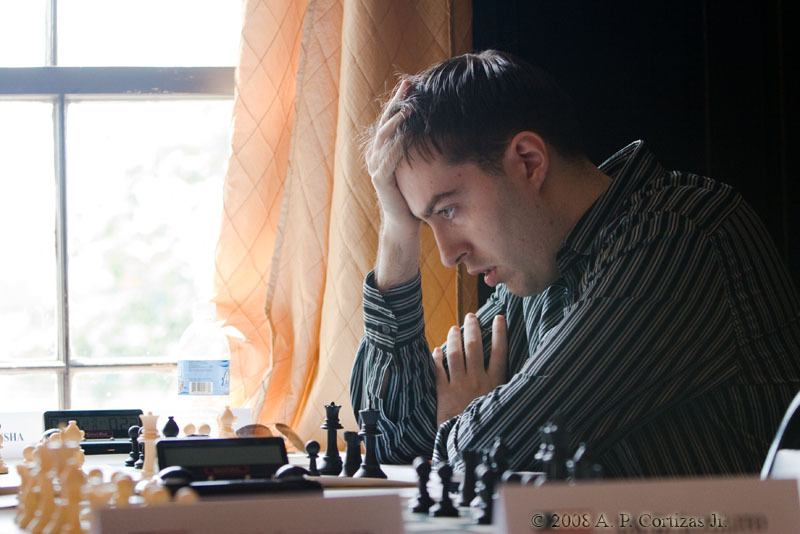 Our resident master Denys Shmelov will perform a simultaneous exhibition starting at 12:30 PM, followed by a blitz tournament run by Michael Gosselin and Todd Chase. We are very glad to have been invited to help out, and I thank Howard Goldowsky for this opportunity. We hope you come and patronize Back Pages Bookstore while having some extra chess fun with the Waltham Chess Club. Preview: Will the No'easters defang the Cobras? Monday at 7PM, the Boylston Chess Club in Davis Square hosts the New England Nor'easters match against the Carolina Cobras. Come and enjoy the witty banter and live analysis session. Here are my Board by Board predictions. But first, a recap of the Blog Post of the Week contest. As I now understand it, a torrent of wacky, witty repartee, a hive of hyperactive hyperlinks, and a bevy of glib prose littered with literary allusions, irony, and gratuitous Krasik baiting (don't the judges appreciate the bodily harm I risk?!) just is not enough to win. Clearly, what the judges want is more Deep Rybka "chess analysis", "videos", "photos", and "player interviews". So this week, I'm going to give it 110%, I'm going to leave everything I have out there in the blogosphere, I'm going to strive to hit sports cliche after sports cliche. 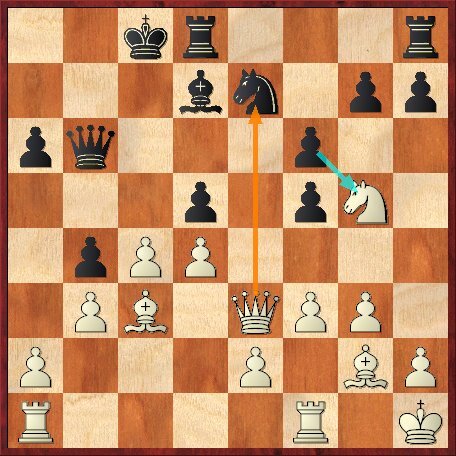 Hungaski played such a milky smooth win with the White pieces last week that it will be hard to predict anything other than another win for him. But let's turn to some computer chess analysis of the game they haven't played yet to make this prediction easier. To do this, I took the moves from Schroer's game last year against Joel Benjamin and I took the moves from an Hungaski game against Leinier Dominguez, and made them play each other. 1.d4 e6 2.c4 d5 3.Nf3 Nf6 4.g3 An unusual plan. 4...Nfd7 5.Bg2 c5 6.0-0 Nc6 7.Nc3 a6 too slow. White is already in good shape. 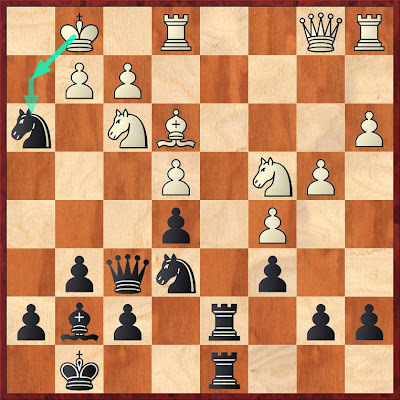 8.b3 b5 Hanging the d pawn. 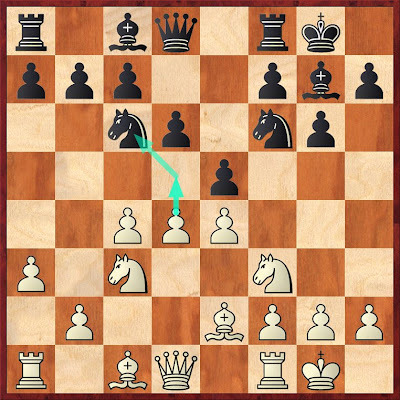 9.Bb2 eschewing the d pawn for equality. 9...b4 Now White makes an unusual plan-- capturing his own Knight. 10. Bxc3?! Crazytown now ensues. 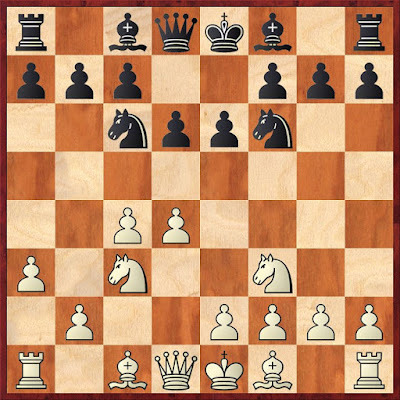 10....Qa5 After the error by White, Black is a gentleman and doesn't take the Bishop. 11.Qd2 Nb6 12.Qe3 Bxc5!? 13.Bh3 Qxc5? 14.Qxf3 Ne7 15.Qd3 Bd7 16.f3 Qxb6 17.Kh1 0-0-0 18.Bg2 18...e to f5 In time trouble, Black knocked over a pawn, then replaced it on the f5 square by mistake. 19.Qe3 f6 20. Ng5!! And White sneaks a new Knight onto the Board, threatening the nasty fork with Nf7. 20.... fxe5? 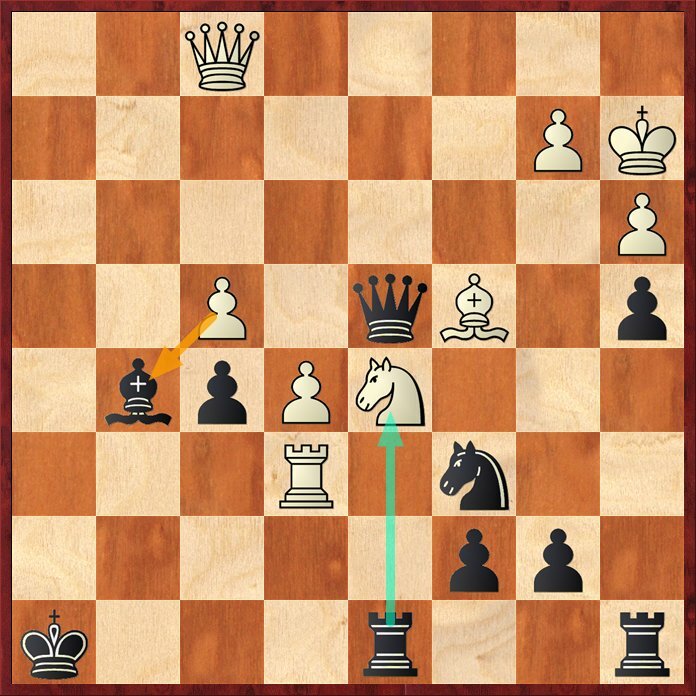 Hungaski tries to take the Knight.... but moves the pawn the wrong direction. The game then devolves into a blitz mess of flying pieces and knocked over pawns. How to assess this mess of a game? On the one hand, White has an edge in the final position before the time trouble. 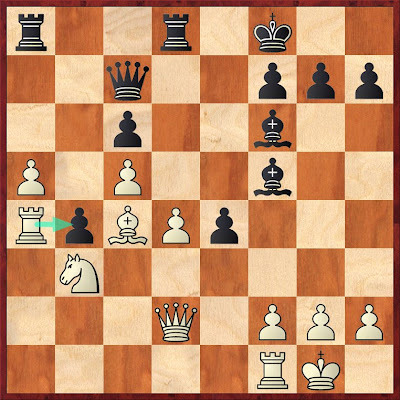 On the other hand, White missed many chances to go up a queen, and he showed a lack of chess understanding by capturing his own pawn. The only fair conclusion is a draw. Board 2- IM Vigorito vs. FM Simpson. Which looks cooler to you? Vigorito wins on Board 2. Instead of predicting this game, I will have an interview with Charles Riordan, based on past conversations I've had with him over the years. Me: Charles, remember how when we met, you were a 1900 player and I was a 1900 player? And now, you are a 2450 player, and I am barely a 2000 player? How did that happen? Charles: I can read chess opening books like novels. Me: You also like to read crime novels, don't you? Me: How is Law School going? Charles: It's going great, thanks for asking. Me: Well, good luck this week. Any last thoughts? Charles: I am going to leave everything I have out there on the chessboard. Wait, sorry, a little bit of typing automatica, there! Actually, this is a tough call. Carey is a good player, but Craig Jones has been a solid Board 4 for the Cobras for years. How will Carey do on his USCL debut? 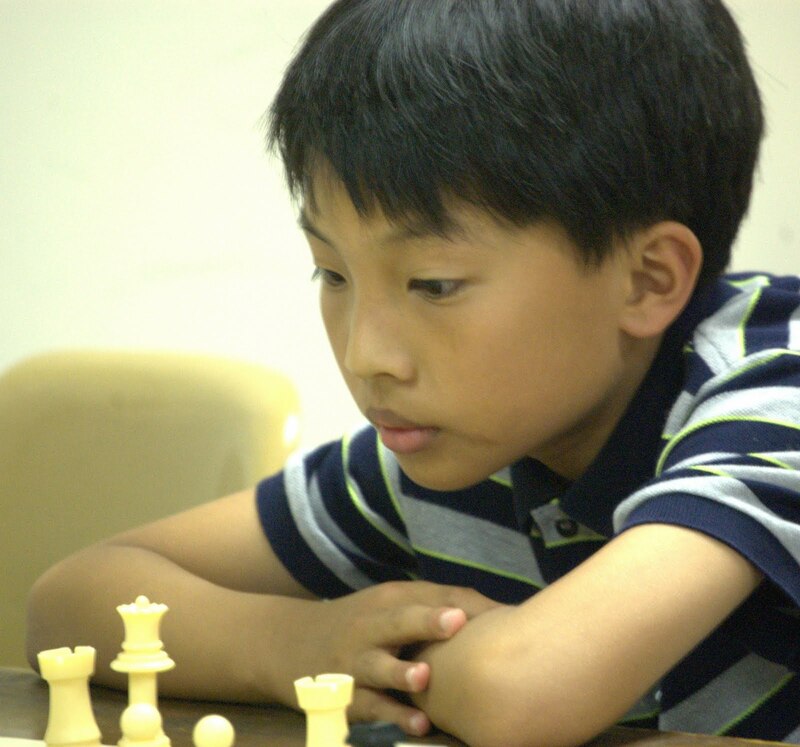 I think he will be afraid to give any preparation to his teammates, as they are his competitors in the upcoming Boylston Chess Club Championship. Therefore, he will play some inferior stuff he dregged out of the Russian Computer Openings project, leaving him to struggle for a draw. Which........ he will get! Yea! Another rosy prediction for the Nor'easters. Come watch live or on ICC to see if my predictions hold up. WFM Vesna Dimitrijevic (3.5 of 4) took first in the BCF Women's Open. and Varun Palnati (3 of 3) won the third octad. As usual, Bernardo Iglesias did an excellent job of TDing both events. CALLING ALL WOMEN AND GIRLS! The Boylston Chess Foundation is running a women's event on Saturday, August 28 (tomorrow!) to promote the participation of women in chess tournaments, especially at the Boylston Chess Club. An anonymous donor has guaranteed a minimum prize fund of $200, so this is your chance to compete with and meet other women chessplayers, and possibly even get paid to do so! The Boylston Chess Club hosted the first New England Nor'easters match of the United States Chess League on Wednesday night. Nearly 15 spectators were spectating; the projector was projectating; Boston Blitz Marc Esserman was gesticulating. Instead of the cold Rybka analysis spouted by the ICC comment boards, non-stop color commentary was provided our own Boylston Chess Quad Core processor of masters Carey Theil, Paul MacIntyre, Chris Demarais, and Charles Riordan. My summary is a pistache of half-remembered jokes, ideas, and gross speculations that were pinging around the room while the Nor'easters toiled in silence in the back room. Eventually a smooth victory for Hungaski, Board 1 started off as a Nightmare on Elm Street. Visiting our club for the first time, Robert knocked on the door of 240 Elm Street..... in Cambridge. When the door creaked half-open and a, "What do you want?" steamed out of the mist inside, Robert meekly asked, "Is David Vigorito home?" Eventually, he stumbled away from a possible haunting to our Somerville locale, 20 minutes late, where he played a clean game that impressed the hometown crowd with its economy. After some positional manuvering, Hungaski wins the b-pawn with 24. Rxb4. Staring at a monster a-pawn, Black sacrifices the exchange with 24.... Rxa5 25. Nxa5 Qxa5 26. 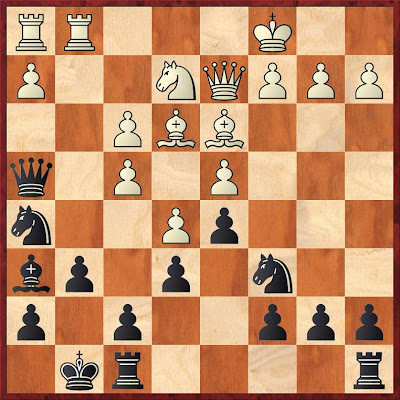 Rd1 and now Black can't unleash on the d4 pawn: 26... Rxd4? 27. Rb8+ Ke7 28. Qxa5, as there is no back rank threat after Rxd1 29. Bf1. After some more clean play, White won. Ironically, Board 2 was the first one declared as a victory by the crowd but turned into the longest game of the night (no pre-mature resignations here, I guess). Dave's savvy opening choice paid dividends when he side-stepped the Saemish King's Indian by playing unexpectedly and then managed a kind of transposition into more traditional King's Indian lines, with White's a3 thrown in. 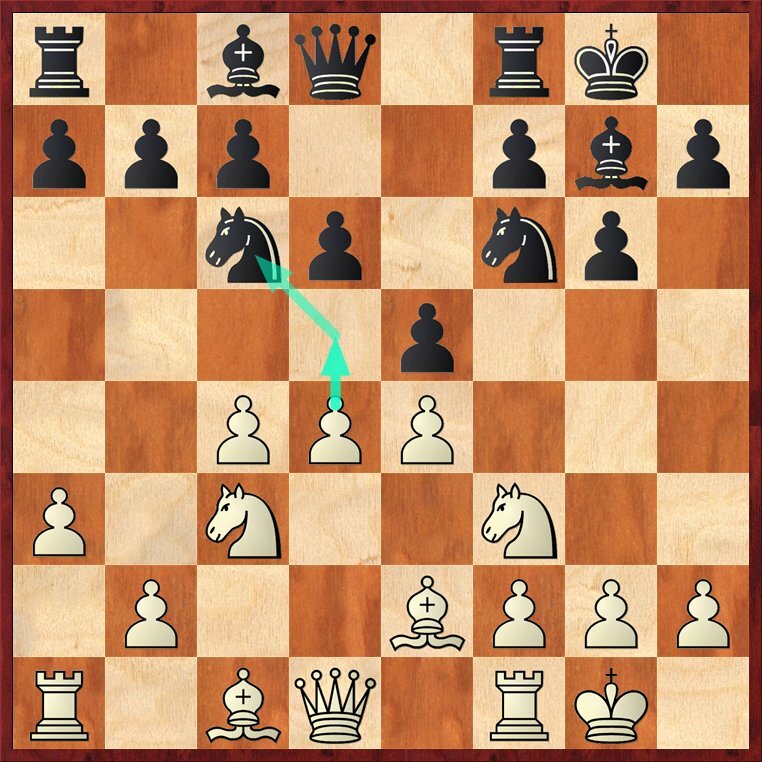 White exchanged the d-pawn (a rather toothless move says this KID player), and after some additional shuffle-feet, reached the following unhappy position. At this point, the consensus was that Black had a winning position, and some players were already baldly calling this one in favor of Dave. The rest of the game wasn't that simple, of course, and White managed to fight tooth and claw for many, many, many, many moves. Dave finally crashed through with the nice 23.... Nxh3 when White defences finally break down (despite the game lasting to move 65). I'm sure there was tension and thrills in this game somewhere, but, frankly, White looked to have a slight pull for most of the game that ended in peace with opposite colored bishops. With Boards 1+2 (and yes, board 4) looking sealed up for the Nor'easters, it appeared to the crowd that Bournival was happy with a draw. He was, and it put the Nor'easters on top. The two USCL newcomers provided some of the best entertainment of the night. Our quad-core processor devolved into hysterical laughter all night long with some of the crazy lines that both the spectators (and ultimately, the players!) had created. A real treat. Visually, Chase looked to be in big trouble early, as he lined up all his pieces on the h-file. Longtime Boylston Chess Club members, however, know that Chris (a multi-time club champion) is a kind of chess-masochist who really loves these kinds of Black hari-kari setups. After 13... Qh4, one line that slayed the crowd ran: 14. Rg5 Qh3?? 15. Nb1 when the Black queen is trapped. Odds were placed at this ACTUALLY appearing over the board at somewhere around 250:1. To everyone's mirthful relief, this did not occur. The position eventually settled, and the super-solidity of Black's king became clear to all. I started to think that my prediction of 4-0 was a real possibility, with Boards 1, 2, and 4 looking very good for the Nor'easters, and Board 3 looking like a solid small edge. Schoch ripped the funny bone off the crowd a second time when he uncorked a sacrifice that was pinging around in our quad-core's side-line fancy. Here White uncorked the desperado 23. Rxg6!? to the glee of the fans. A real bullet chessplayers move, that! It seemed to fade quickly into nothing after Chase plays a series of good moves with 23...hxg6 24. Rxg6 Qh7 25. Rxe6 Nxf4 26. Bxf4 Bxf4 27. Nd5 Qxh2 28. a3 Qg1+ 29. Ka2 Qxd4 30. Qf1 Bg5 31. f4. The position remained dangerous though, and Chris had used considerable time to find the right defensive plan. Here, everything went astray when Chase failed to find 31...Rxd5, instead opting for Na5? and a quick finish after 32. Qh3+ Kg7 33. Ne3! Rf8 34. fxg5 Nxc4 35. Re7+ Rf7 36. 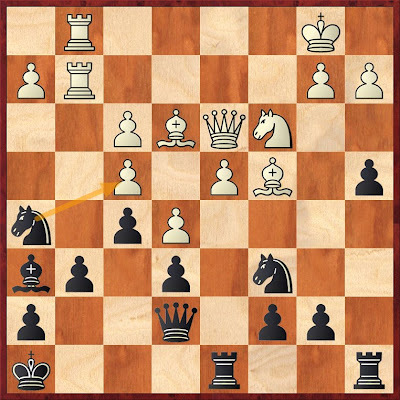 Nxf5+ Kg6 and there is nowhere to hide the Black king this time. Overall, a great success for the Nor'easters debut. We in New England are looking forward to Week #2, when hopefully we can have more wins from both of our local teams. An exhibit in Los Gatos, CA reflecting on the influence of Marcel Duchamp includes the importance of chess in his life. ... Catherine Politopoulos, curator of the LG Art Museum: "Some artists say they didn't know Duchamp had been one of their influences, but you really can't work in contemporary art and not be inspired by Duchamp." Photographer Man Ray (right) & artist Marcel Duchamp play chess. With a nod to Duchamp's obsession with chess--according to legend he gave up painting for two decades to devote himself to the game--the Museums will also host a series of chess tournaments in partnership with Bay Area Chess. 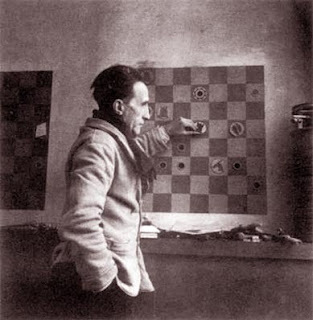 "There are many stories about Duchamp's chess-playing. One legend was that his wife grew so tired of it that one morning he got up and found that she had glued his pieces to the board," Agg said. Agg adds that grandmasters and chess neophytes alike who visit the History Museum will be invited to step up to a computer and pit themselves against Duchamp's chess skills, via a software program that offers a virtual contest with the artist. "The Seduction of Duchamp" exhibition kicks off with a preview party at the Hotel Los Gatos & Spa on Sept. 10. For tickets and more information about the reception and the show, visit www.museumsoflosgatos.org or call 408.395.7386. Here is my recap of the Boston Blitz loss to New York. Everyone of a certain age should remember these. This Wednesday, the New England Nor'easters will take on the Baltimore Kingfishers. Come by the Boylston Chess Club on Wednesday, as we will project the games live for fans. Round starts at 7PM. I know what you are thinking: Who? Who? Who? Who? Who? Who? Who? and Who? But if you are from New England you are thinking: WHOA! vs. Who? WHOA! vs. who? WHOA! vs. who? WHOA! vs. Who? And if you are from Baltimore, well, I have no idea what is going on inside your kingfisher sized brain. In all seriousness, this is a tough match to evaluate, as most of these players are BRAND NEW to the US Chess League. The New England Nor'easters lineup has played a collective total of 3 games, all by IM David Vigorito. With the exception of Enkhbat, who has been a regular for Baltimore for years, the Kingfishers have played a total of 1 USCL game. New England wins on all four boards! Whee! Come to the Boylston Chess Club on Wednesday to witness the bloodbath. I'll try to provide LIVE BLOGGING COVERAGE from the event on Wednesday night, when I can fill you in on local lore, maybe share some of the beat downs these New England players have given me in the past, and laugh and cry as the battle is joined. "Subway Series, Meet the T-Party". "The Bayonet Attack Leads to a Boston Massacre". Also, at some point, I'll use the phrase, "A perfect storm." Repeatedly. Let's preview this week's action. Dare I say it? I dare! There are gms (Lenderman), and then there are GMs (Christiansen). 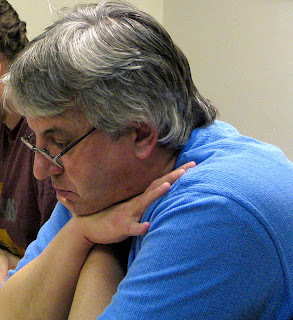 One of these GMs has won Linares, the US Championship 3X (including his nearly making this year's Final Four), and is in the chess Hall of Fame. The other gm is known for his funny dancing. Will I pay lip service to the youth vs. experience angle? No. Come out of the woodwork you anonymous trolls and challenge my assessment! The only question tonight is whether Larry will take US Chess League games seriously enough, as his League results last year weren't exactly amazing. Perhaps the 7PM start time eats into his 1 minute bullet chess time. Dare I say it? I dare! There are GMs, and then there are SMs. Denys makes a great Board 3, but GM Charbonneau would be a strong Board 1. The Boston Blitz do not benefit from Denys rise to Board 2, not this week, and not after his relative absence from chess this past year. Boston-NY knotted up at 1-1. Dare I say it? I dare! There are FMs, and there are NMs, and does anyone really think there is a difference? Here is what I think-- an FM is just an NM that plays in New York (and thus has access to more FIDE rated events). Come out of the woodwork you trolls and challenge my assessment! Vadim was a solid player for the Blitz last year, scoring 3 out of 4. Alex Getz was born in 1993. Am I going to pay lip service to the youth vs. experience angle? YOU BET! Alex is young enough to only know the world with the Internet in it. This increases the probability that he is a Neuromancer, perhaps one of the younger generation who has reached the fabled Singularity. That's right-- Alex Getz might be a closet Computer that Wears Tennis Shoes. I'm not saying it's fact; I'm just saying, watch out for people born after 1990, as they may be our secret computer/human hybrid overlords. I'll predict a draw: Blitz and New York are tied 1.5-1.5. Dare I say it? I dare! There are NMs, and then there is Krasik. Krasik loses. (Come on, trolls! Anyone who read my old Blitz coverage knew that was coming.) I kid. I kid. But seriously, my prediction: New York wins the opening round, 2.5-1.5. Ben and Jainping Yuan are going home back to Shanghai China. About a year ago Ben Yuan walked into the BCF; his strong play and engaging personality made him one of the club's favorites. Ben (now 12 years old) also holds court at Cambridge A Bon Pain where he destroys most opponents at blitz. Ben has developed a following who watch in admiration in Cambridge as he wins most chess games. 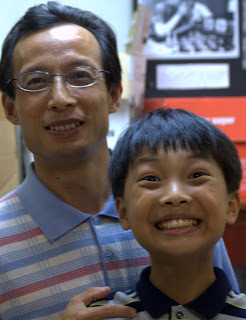 Ben's dad, Jainping Yuan went to BU to get an advanced degree in statistics. Now it is time to go home. Ben plans on returning to the Boston area in several years as a student. I hope we can stay attentive, keeping Ben and Jainping in our network, and if possible give Ben help in coming back. Safe journey Ben and Jainping. Prosperity and happiness until we meet again. Do you have any message to leave with Ben and Jainping? A great indication of the health and strength of local chess is the introduction of a second local team to compete in the United States Chess League: the New England Nor’easters. On Wednesday August 25 at 7pm the New England Nor’easters will open their season by facing Baltimore Kingfishers via the internet at the BCF. 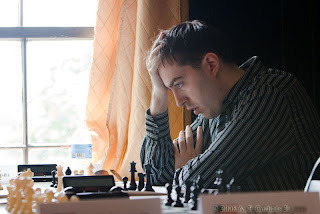 IM David Vigorito had wanted it to happen a couple years ago but had to wait until GM Hikaru Nakamura and GM Yury Shulman decided to join ST. Louis with GM Ben Finegold forming the St. Louis Arch-Bishops, a team with one of the strongest rosters in the league. Although the average ratings of the players is not to exceed 2400, there is one caveat: any player stronger than 2590 has 2590 as the maximum used to calculate team average. 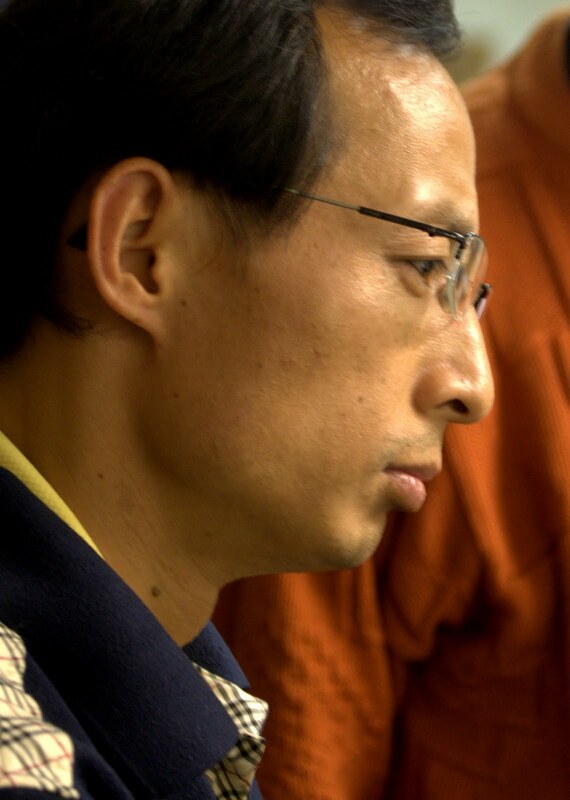 So Nakamura's 2794 = 2590. The League decided on this to attract strong players. Sponsorship was critical to the Noreasters as the league does not fund expansion teams for the first couple of seasons, therefore the Nor’easters are thankful to Mark Donlan's Chess Cafe, Mark Fins' FireJel, and MACA for enough funding to get the team off the ground. In addition to the BCF providing the venue. Braden Bournival has provided web support. Folks are going to try and get a projector set up at the BCF so spectators can watch. So let's support both the New England Nor’easters and Boston Blitz and hope for a subway series playoff between Boston's Best. Thanks to David Vigorito and Charles Riordan to take time out to be interviewed. What are you feeling about a potential subway series? The Intelligent Seagull realizes a particular cluttered beach blanket is unoccupied. Sitting smack dab in the middle of the mess is an opened giant red box of Cheez-its. Quietly The Intelligent Seagull strolls towards lunch closing in; when out of the blue charges a 3 1/2 year old girl waving her arms and running at the frustrated Intelligent Seagull, who has to abort the mission. Many decades ago my daughter Melissa would say: "I like to fly the seagulls!" And so today our submarine sandwiches and Cheesz-its appear to be safe. No worries man - I'm in paradise. My mind shifts to beaches with anomalies: when you visit beautiful Stinson Beach of northern California you ask what's so special about the surf here that attracts so many surfers? Well perpendicular to the beach runs a natural barrier that causes the waves to run great distances: the infamous San Andreas Fault. People claim that the Bermuda Triangle is an anomaly that sinks ships and downs planes. Well I have discovered a new anomaly: the Super Intelligent Zone at Nantasket Beach: Across from the Red Parrot bar/restaurant resides some of the most intelligent beachgoers and seagulls. How else can you explain that it is here that Dr Jon Lee randomly picks to go swimming. Or GM Alexander Invaov and his wife NWM Ester Epstein park themselves here. And former Quincy Chess Club member Kevin Crawford picks this place to set up his set and clock to raise money for the Merchant Marines. Now myself and all the above mentioned could pick anywhere along four miles of beach, but we all end up here. There must be some kind of special karma centered in front of the 50 foot footprint of the Red Parrot. This is getting pretty weird. I wonder what the Intelligent Seagull plays with white? Well maybe if the 3 ½ year old limits his food opportunities he might join us in a game. 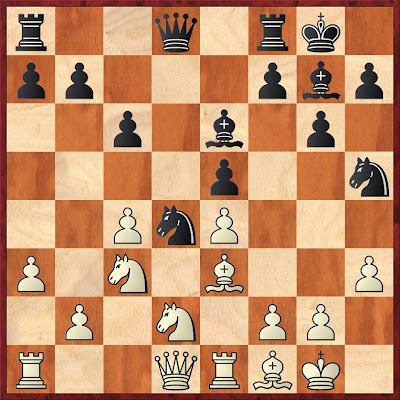 Do you know of other chess anomalies? Mongoose Press, Chess Books from Europe, and Back Pages Books in Waltham, MA will be sponsoring a special day of chess activities to promote Mongoose's new chess fiction anthology, "Masters of Technique. edited by Howard Goldowsky." Back pages Books in Waltham, MA. Tickets for the simul are free with the purchase of a copy of the anthology. Prizes to players who win or draw will be donated by Back Pages Books. Entry to the blitz tournament is free, with prizes for the tournament donated by Chess Books from Europe. Please bring sets, boards, and clocks. All profits from the sale of "Masters of Technique" go to charity. 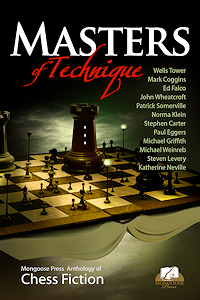 Chess literature publisher Mongoose Press has just released their first fiction anthology: Masters of Technique, edited by Howard Goldowsky. 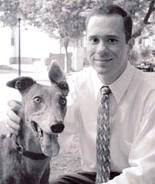 The anthology features short stories with a chess theme from bestselling authors like Stephen L. Carter (The Emperor of Ocean Park) and Katherine Neville (The Eight), literary writers such as Wells Tower and Paul Eggers and even (in spite of what the title suggests) a patzer or two like me.